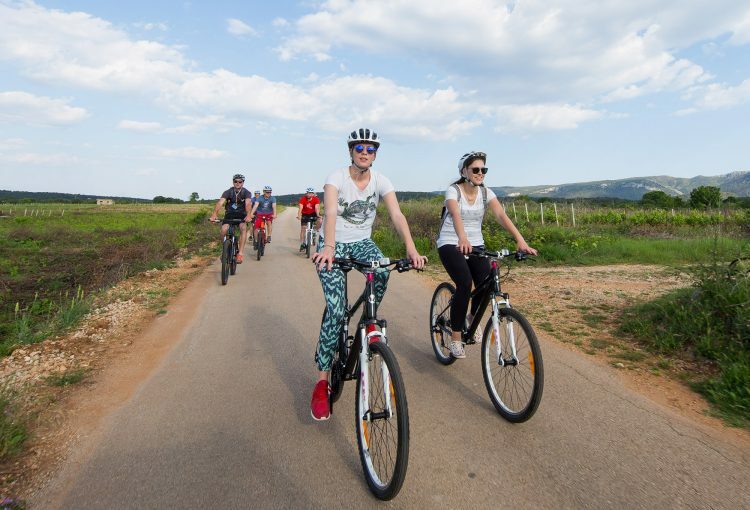 Welcome to the bike-activity program organized by our small family agency and designed for cycling enthusiasts. 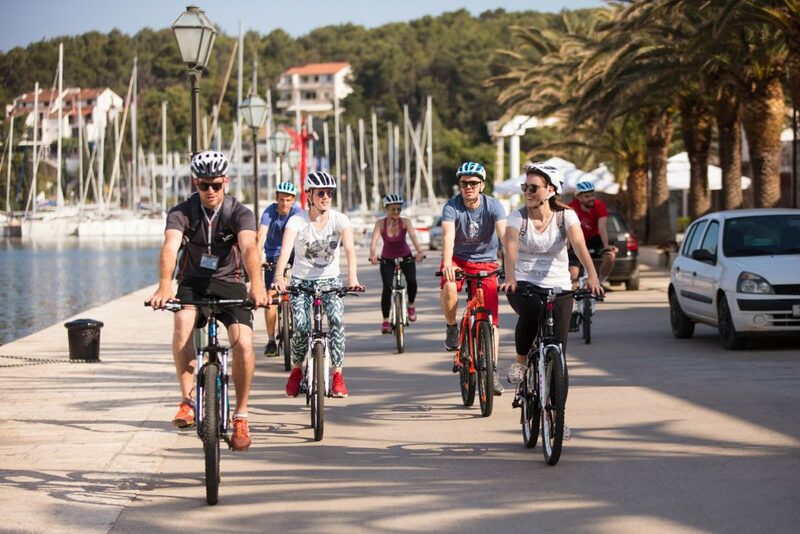 Island Hvar „on two wheels“, ie this cycling offer is a unique opportunity to get to know the most beautiful part of Hvar far from the crowd. Feel the local spirit of Hvar throughout its sunny paths, accompanied by local guides who share their true love of this Mediterranean paradise with you, and enrich your vacation with special island memories. 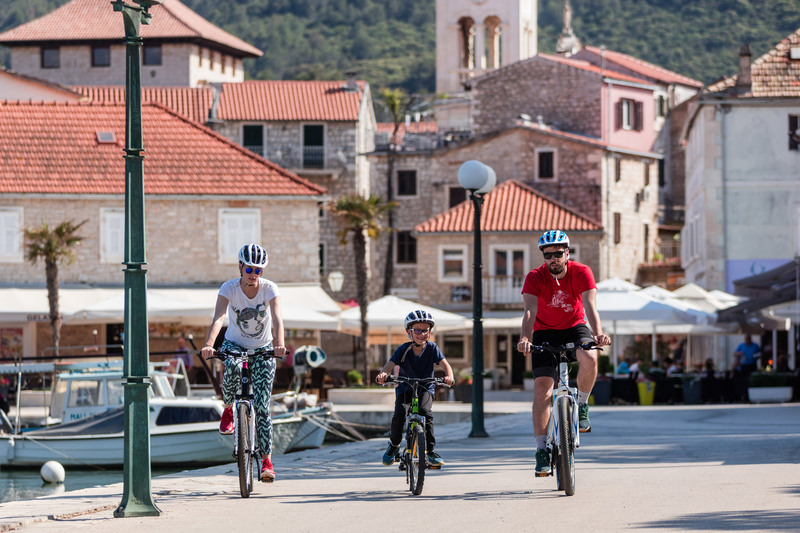 We begin the Cycle-Hvar story in ancient Stari Grad and set out to explore the north side of the island. 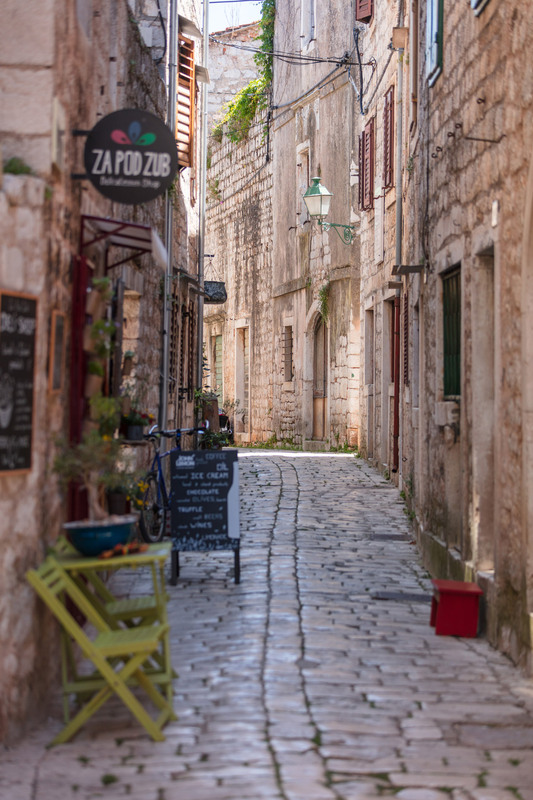 In the epically portrayed streets of this oldest Hvar capital, we depict our way through the centuries of living. From the central part of town, we move on to the ancient trail of the Greek Hora, i.e. 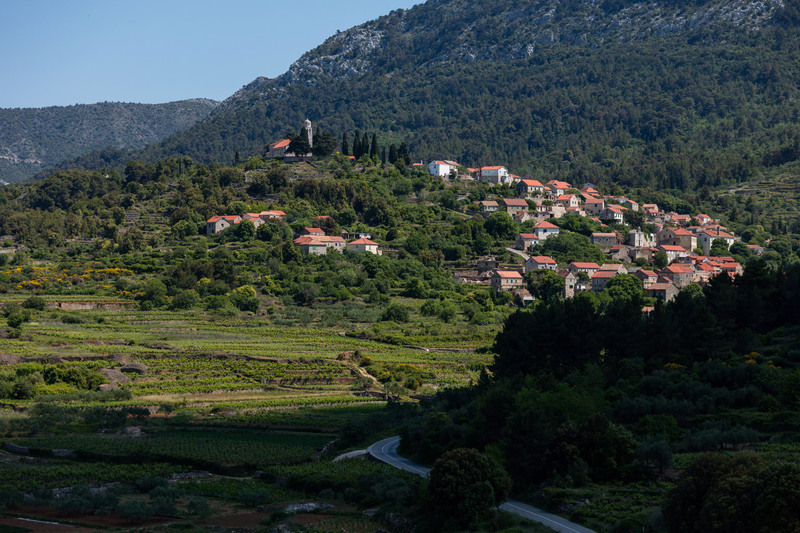 UNESCO protected Stari Grad Plain, while we explore the oldest example of plotting in Europe. 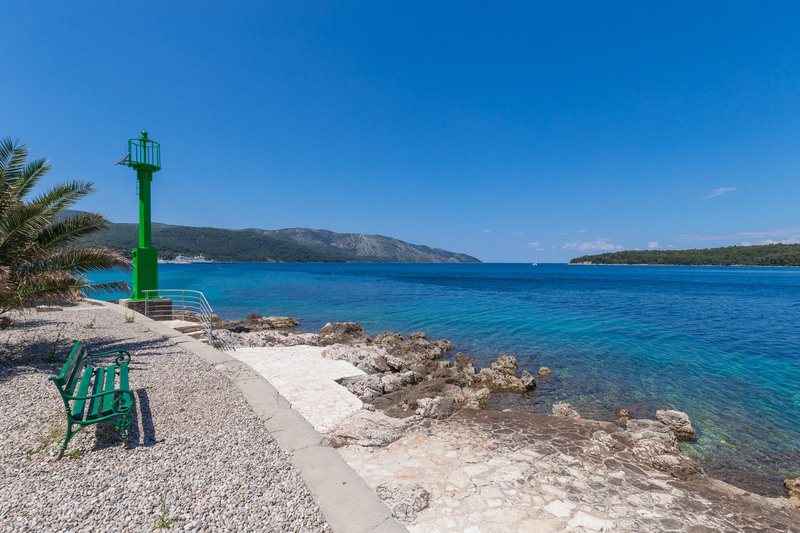 Through the fragrant trails of Hvar, we set out towards one of the most beautiful inlets of the Adriatic – Vrboska. 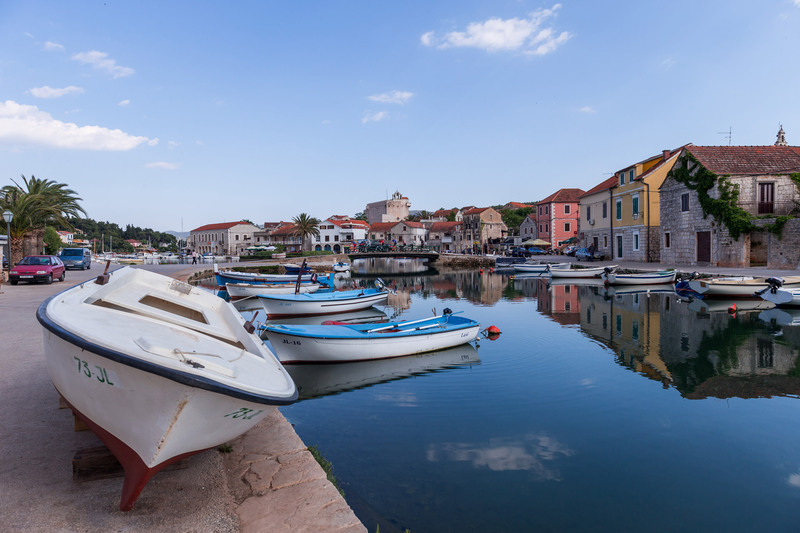 This small fishing village located in a deep-set inlet and interconnected by numerous bridges, will surely remain one of the most beautiful memories of your Hvar vacation. 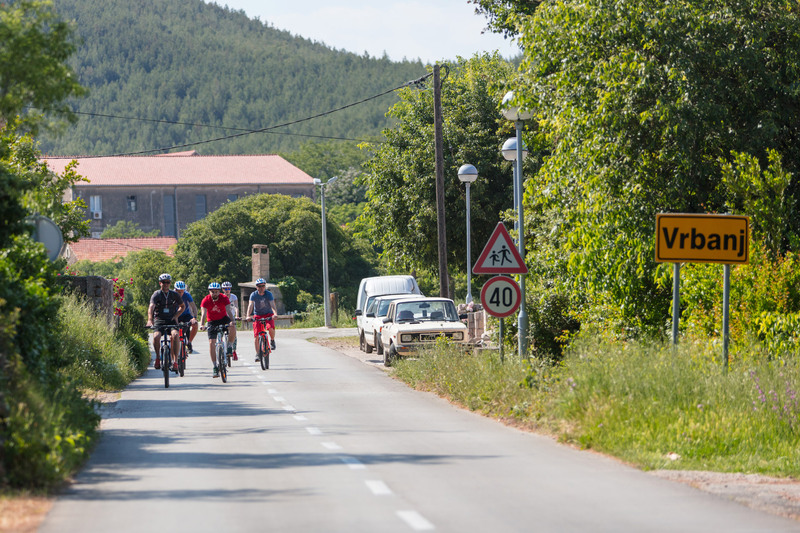 Through the stunning atmosphere of the dense pine forest, we move on towards Jelsa where we will stop for a cup of coffee in the relaxing ambience of the main square. After Jelsa, we carry on to the heartland through many vineyards and olive groves. Here we discover quite a different image of the island and a calmer way of life than by the coastline. 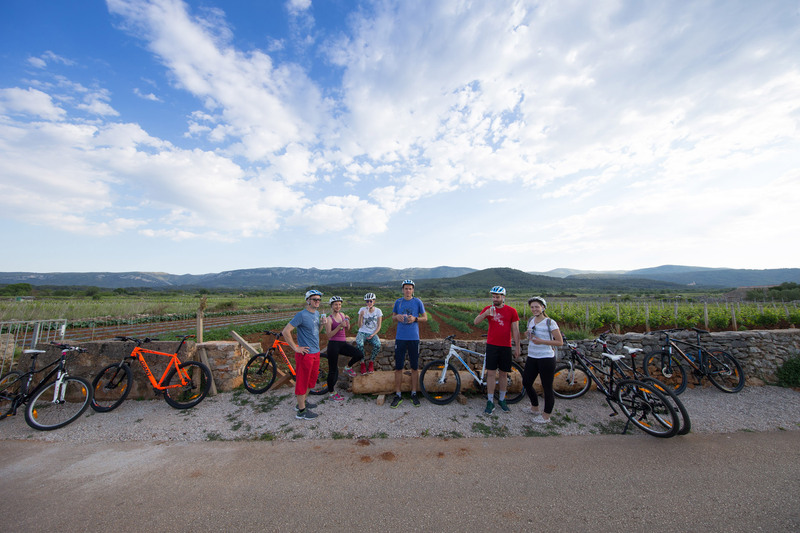 We conclude the tour back in Stari Grad after 27 kilometers of the Natural Hvar story. 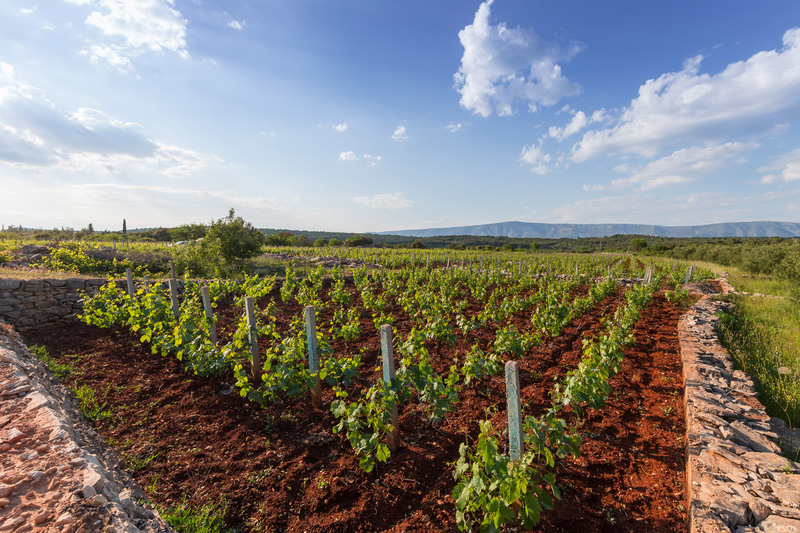 In the rich wine-growing history of Hvar, numerous plants have grown during the centuries, which still inhabit the scanty soil of our island. In a half-day program, we take you through the wine routes of Hvar with a special kind of enthusiasm and present the multi-millennial history of our most famous branch of economy. 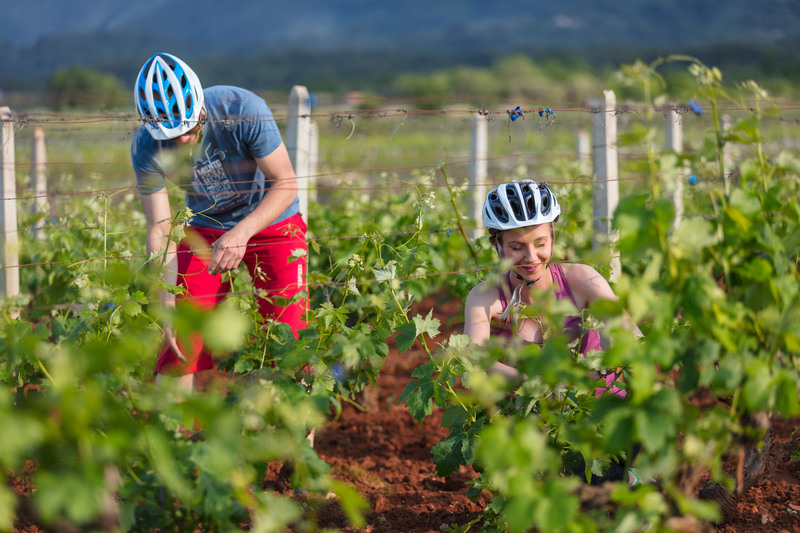 The wine cellars, the main „actors“ in our „bike&wine“ arrangement are located on the relaxing central part of the island, so we will be enjoying our visits to some of the renowned Croatian winemakers at a leisurely pace. 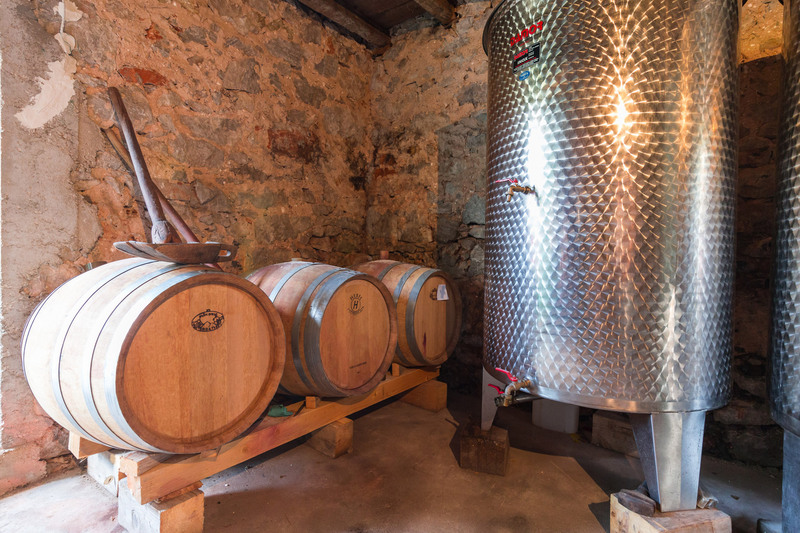 We will also take a look at an old family “konoba” during the wine tour, and discover traditional wine-making in small family farms through the stories of our elders. 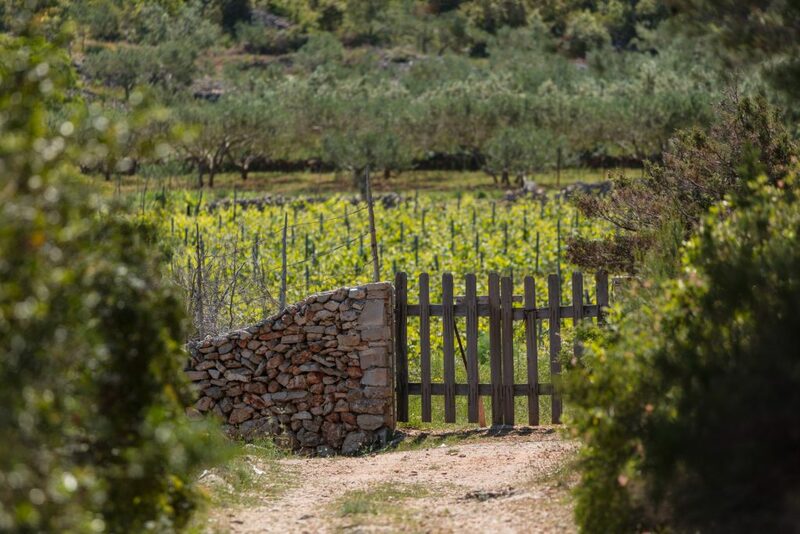 * As guides of our sightseeing day, the vineyards / wine cellars are all located within 30 kilometer of Natural Hvar stories that we discover during our outings. 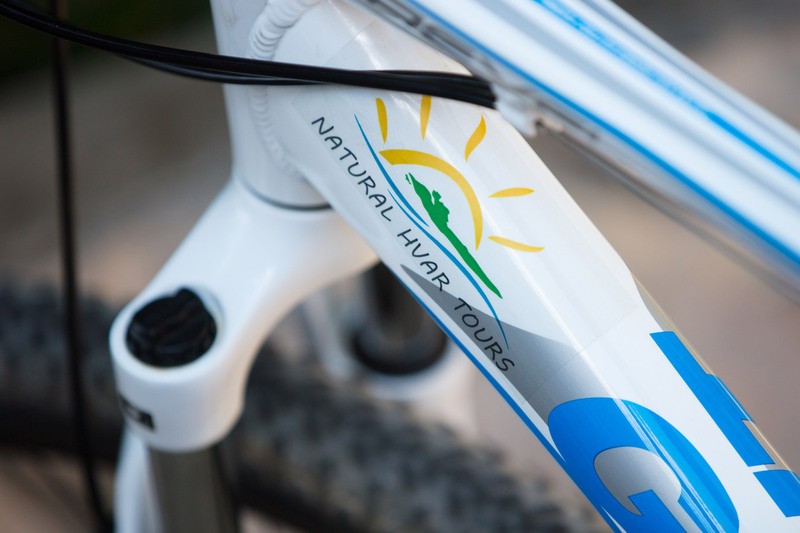 As extremely interesting guide marks, friendly hosts and owners of numerous island taverns are awaiting you in the daily cycling program. In the organized cycling stage in the central part of the island, we discover some local family konobas in order to taste some of the best Hvar specialties. 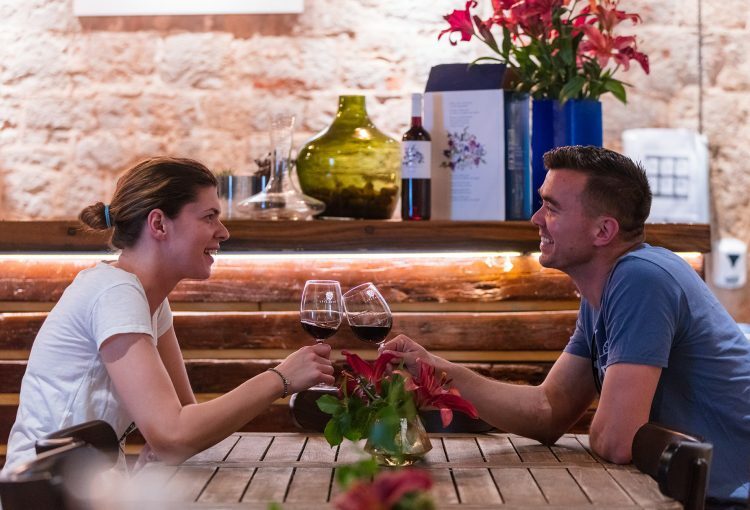 For all lovers of a tasty bite, this type of day-trip is organized as a sightseeing of the central part of the island along with various wine tastings and sampling a number of local specialties. 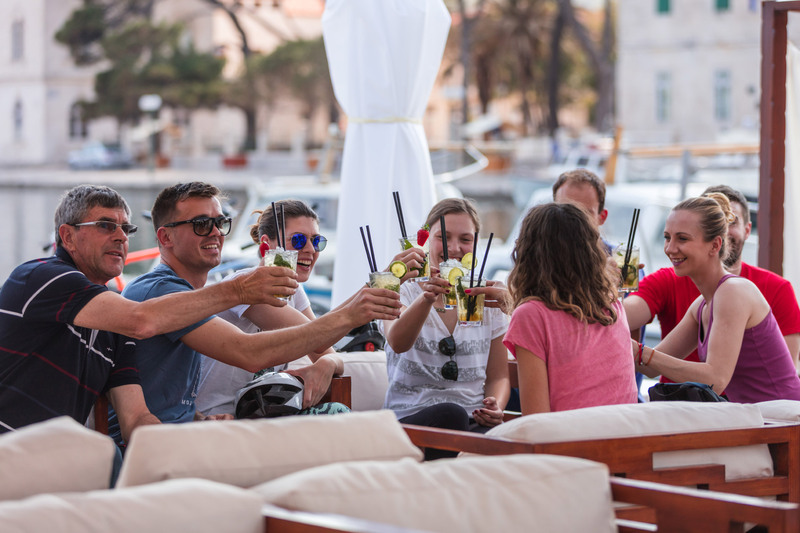 * As guides of our sightseeing day, the taverns / restaurants are within 30 kilometers of Natural Hvar stories that we discover during our trip. 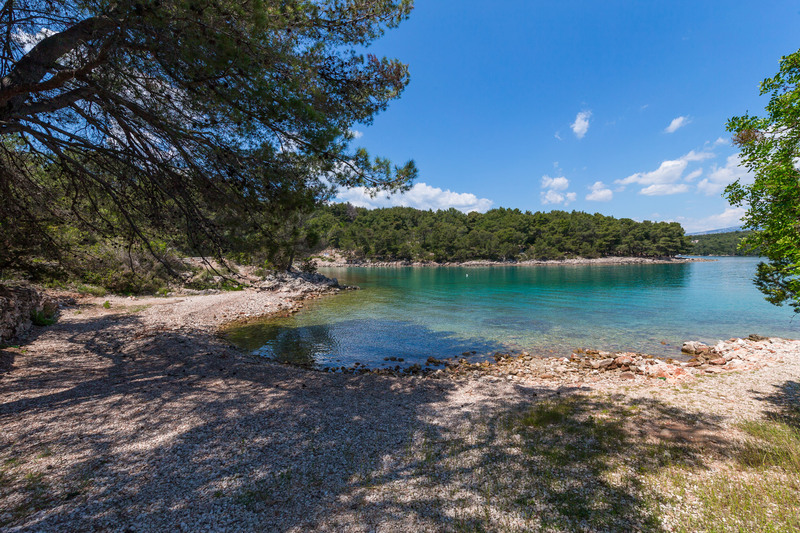 Relax and enjoy the view of lush island greenery, calm sea water and diversity of secluded island beaches by Natural Hvar Team. “Nothing compares to the simple pleasure of a bike ride”. Family-owned agency specialized for offering an authentic island experience. It's time to get out of the city and explore that gorgeous countryside that Hvar is famous for. If you visit Hvar island, it's important to drive away from the traffic and crowded waterfront and get out into the countryside. 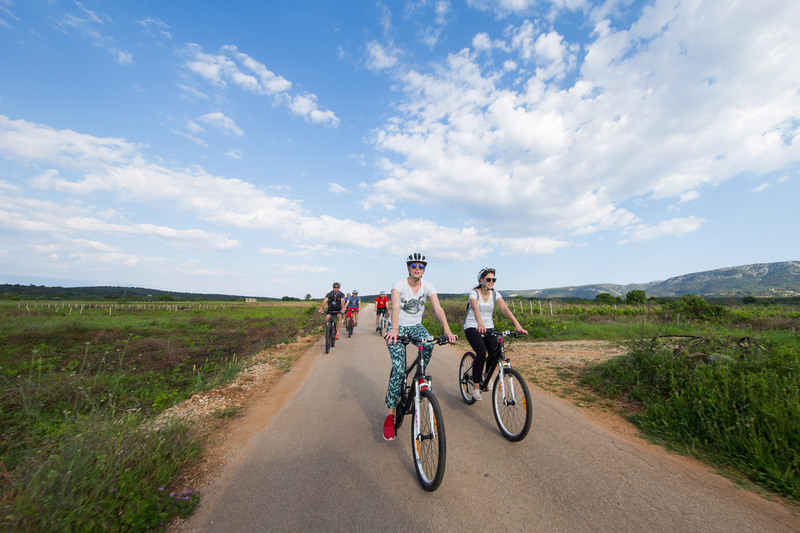 Bicycle tours are a great way for families to explore the world together. 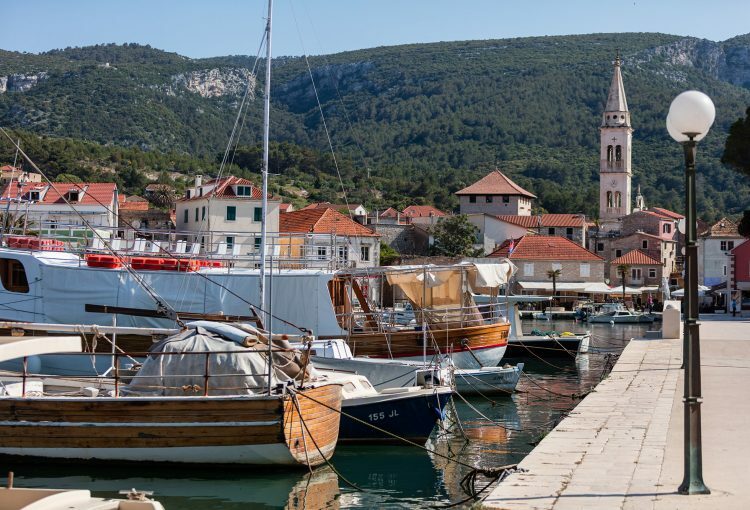 Croatia's islands are some of the country best places to explore by bike. 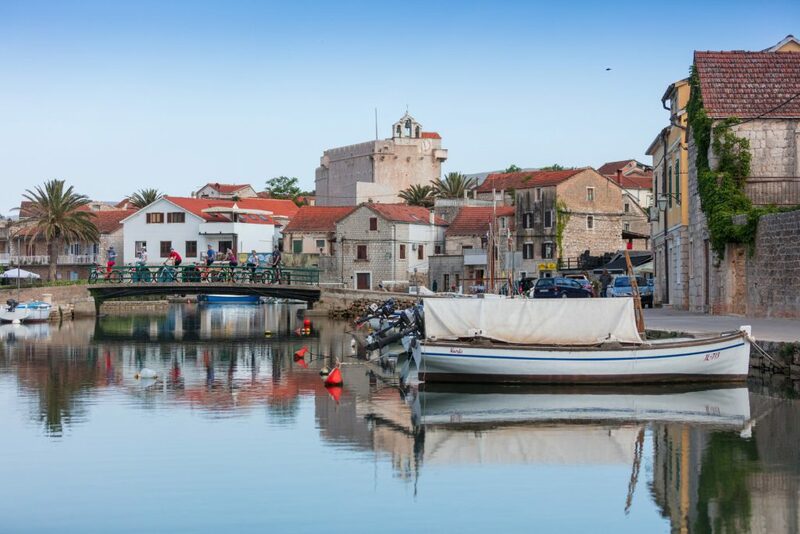 Ancient villages and coastal roads of island Hvar are waiting to be discovered. 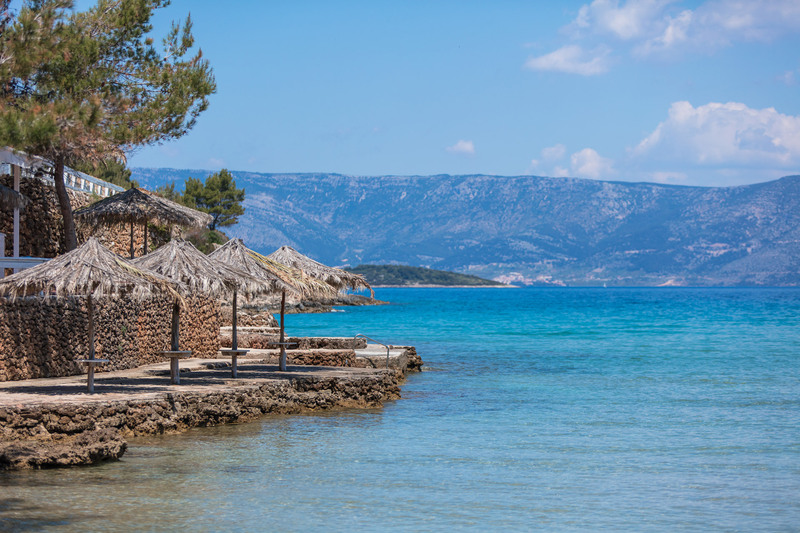 Mediterranean nature and the scenic landscape provides a stunning backdrop to any photograph. Mojito Cocktail Bar is a welcome treat, away from the busy streets and a place to relax, unwind and sip cocktails. 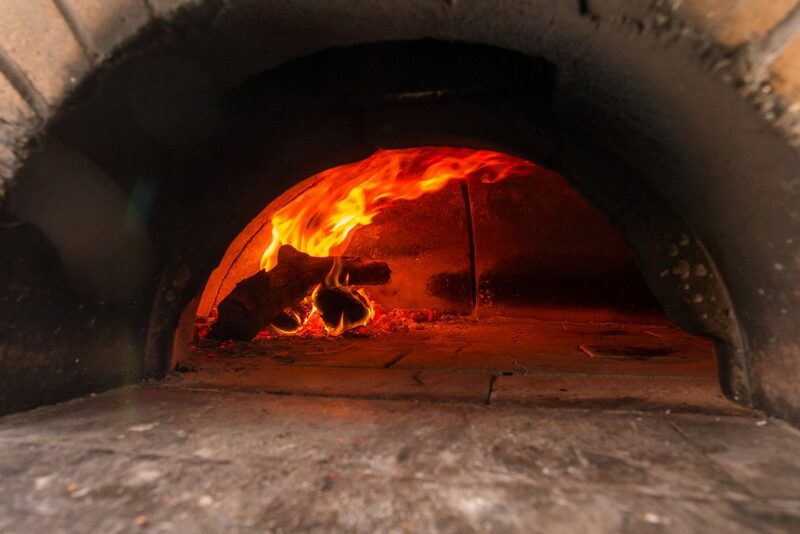 Wood-fired brick ovens have been with us since the dawn of civilization. 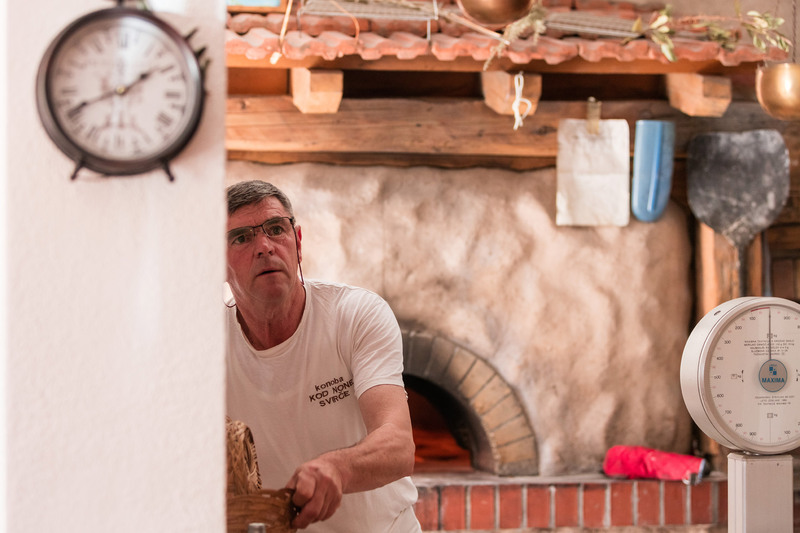 Medieval brick ovens can be found throughout Europe, often with little variation from the original Roman round, domed oven chamber and front vent design. Konoba "Kod None" is a family-style restaurant with the love for serving traditional Mediterranean food. 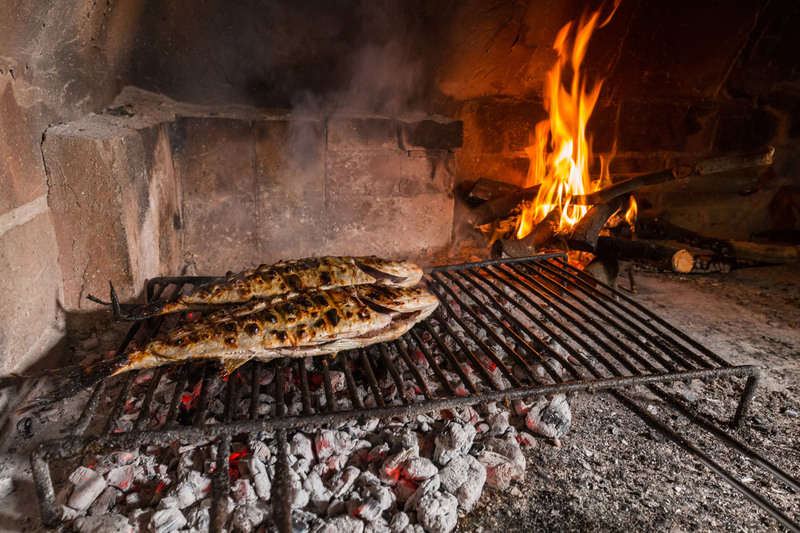 The gastronomic offer of Hvar island is influenced by a number of cultures, it clearly sparks the Mediterranean flavor on its dishes thanks to using of olive oil, fresh veggies, fish, and meat. 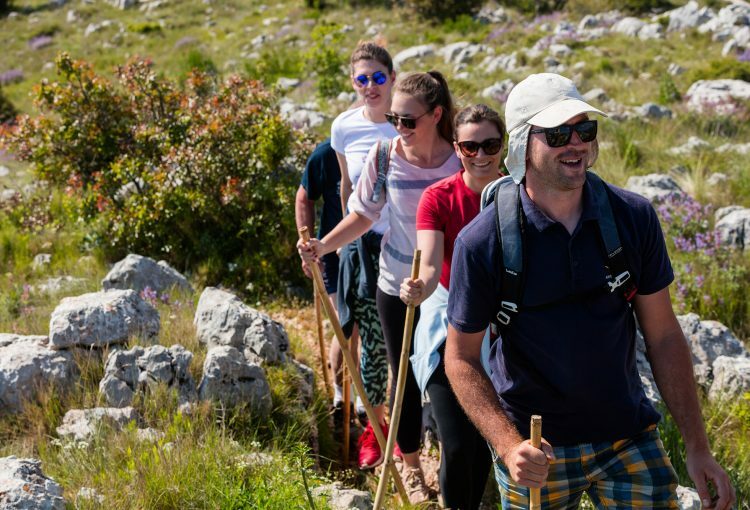 Natural Hvar "local life tour"
It’s a chance to make local friends, to hear stories from real local people and get a feel for your new environment. 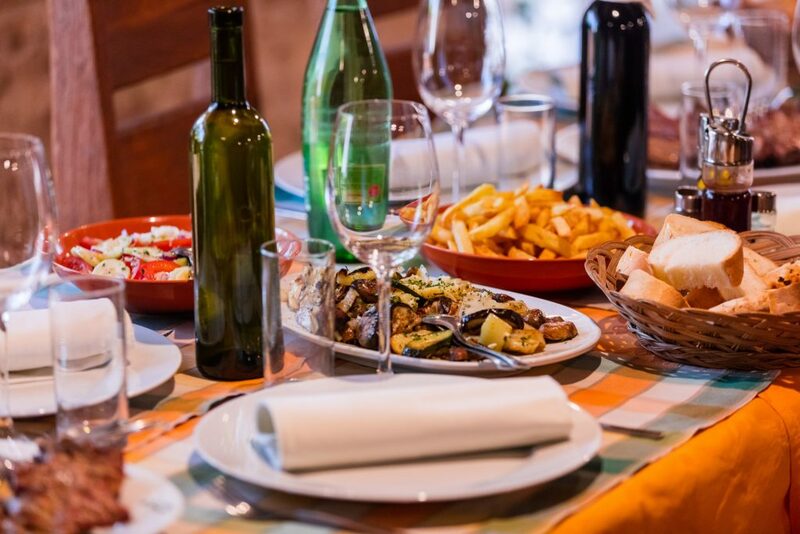 Enjoy different samples of meals and learn about the stories and history of the local cuisine while working up an appetite. A cycling-food adventure off the beaten tourist path is great way to discover the wonders of traditional Dalmatian cuisine. 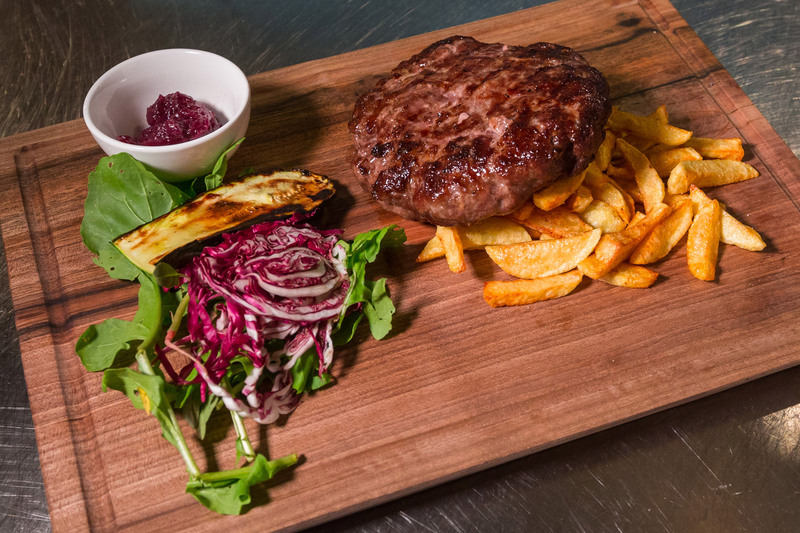 Come hop on a bike and let us take you on a cycling "savory trail". 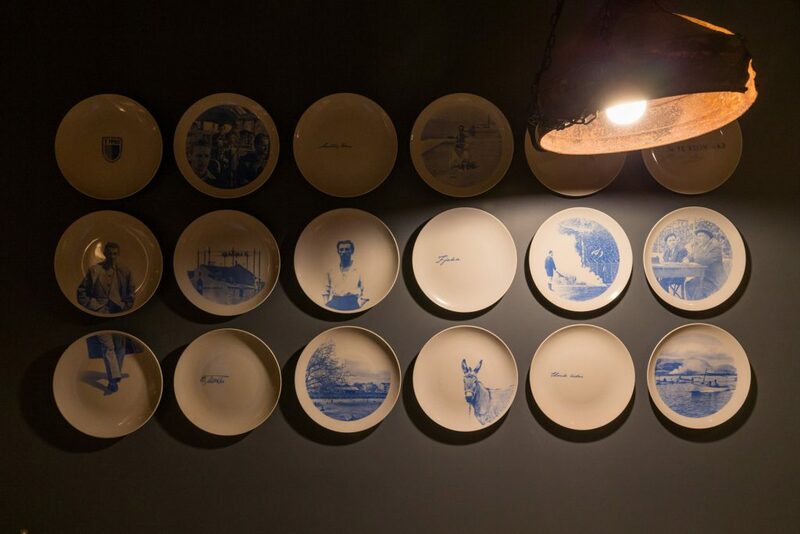 If you love retro furnished bars and restaurants, this spot is going to blow your mind. 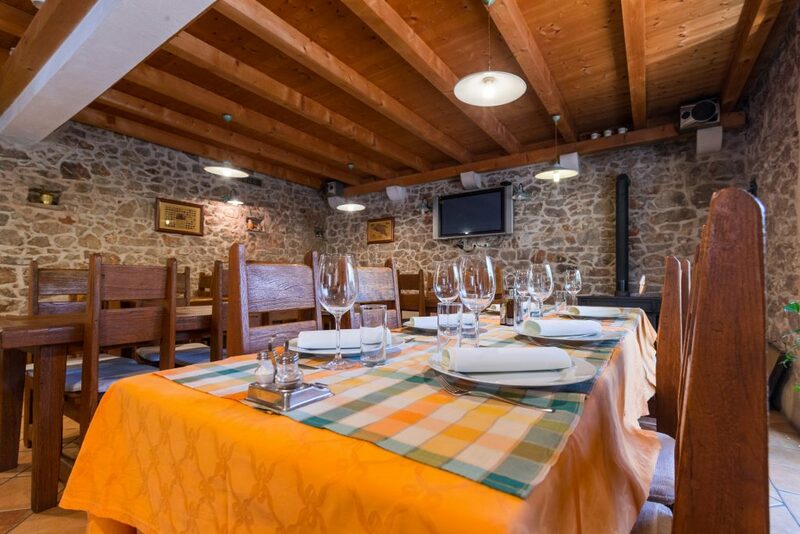 A family-owned restaurant with a beautiful sea view, great food and wine, and a pleasant and relaxed ambiance. 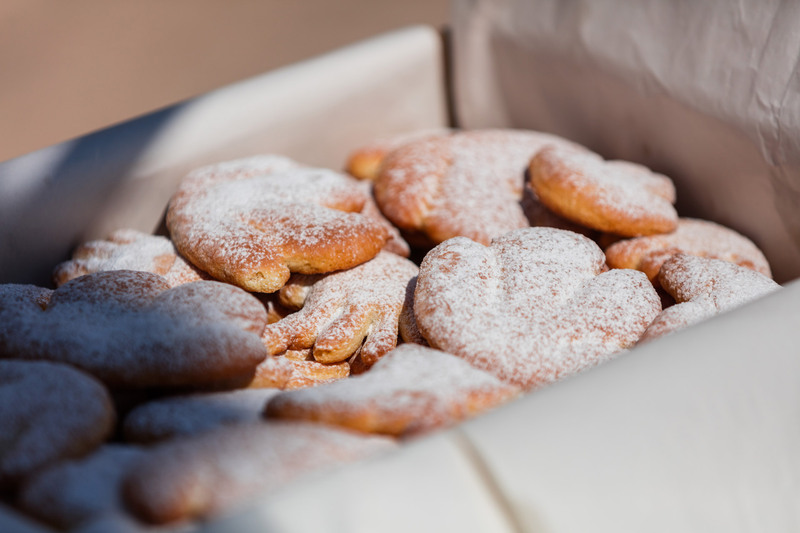 Hvarski cviti (Hvar flowers) - traditional Hvar cookies - like in case of other traditional cookies the basic recipe is the same for all of them, but every family has its own variation. Origin of ingredients, ratios, secret ingredients, specific flavoring are not revealed. One of the largest and most beautiful parks in Dalmatia was created in 1870 on alluvial terrain. 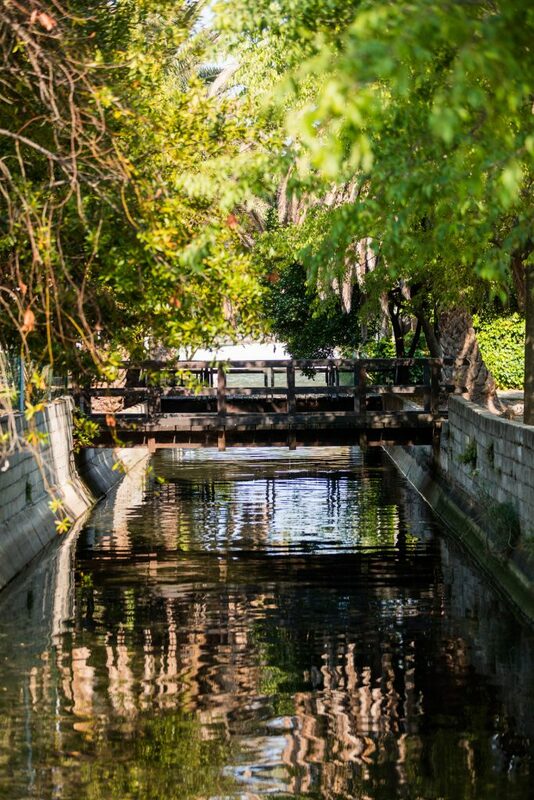 The large poplars, pine and palm trees, acacias and oleanders, bay laurel and other Mediterranean plants add to the beauty of the park. 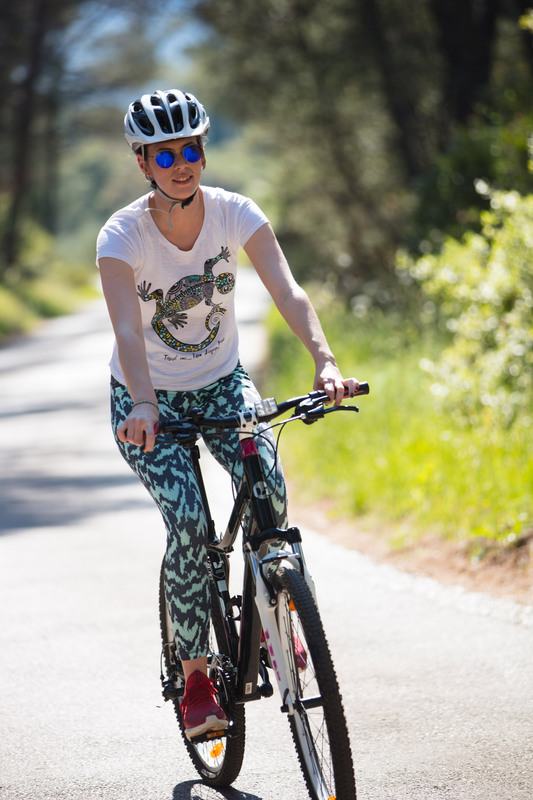 Riding the coastline on the cycling path along the Adriatic coast and enjoying the cool shade of the pine trees and their delicious smell. 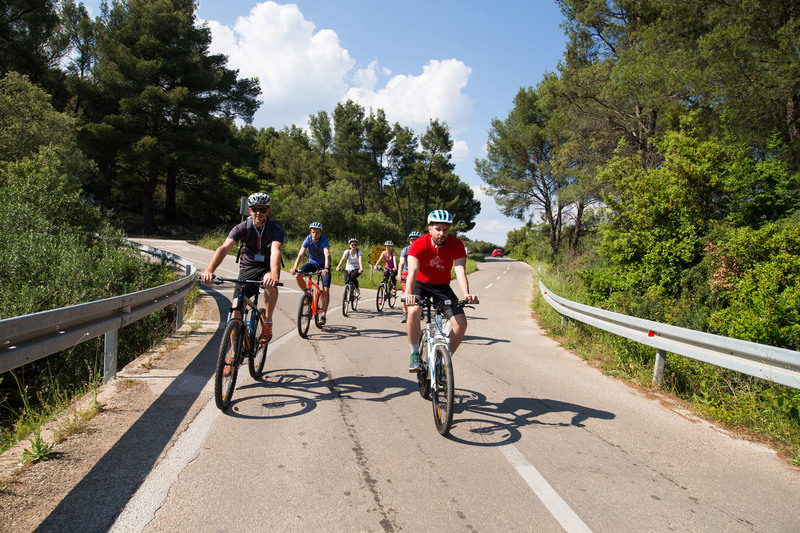 Cycling guided tours are offering a 5-hours bike ride through the central part of the island including a break for a swim at a great relaxing spot. 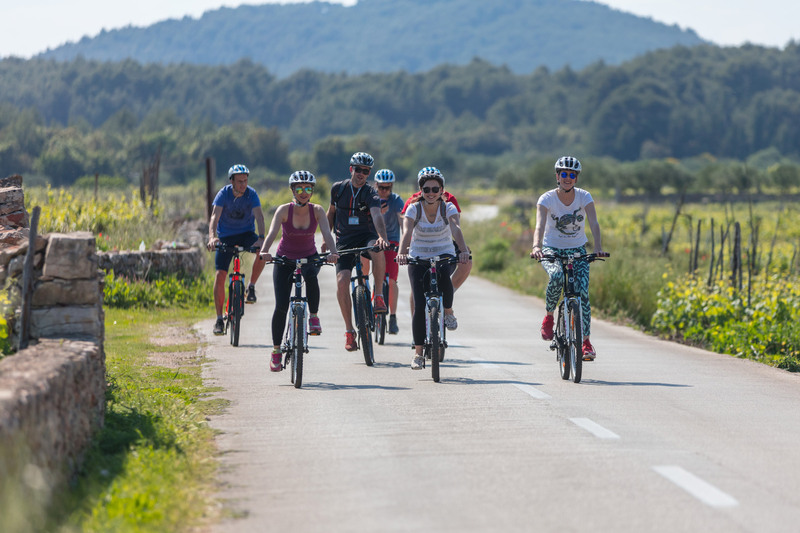 Cycling on peaceful country lanes, through an endless panorama of vineyards, olive groves and centuries-old stone dry-walls. #feeljelsa / with its breathtaking scenery, beautiful beaches, sea breeze in your hair and the sound of gentle waves lapping the sands. Besides the nice journey, cycling, breath-taking pictures, mind-blowing memories there is no chance that you will skip a coffee break with us. 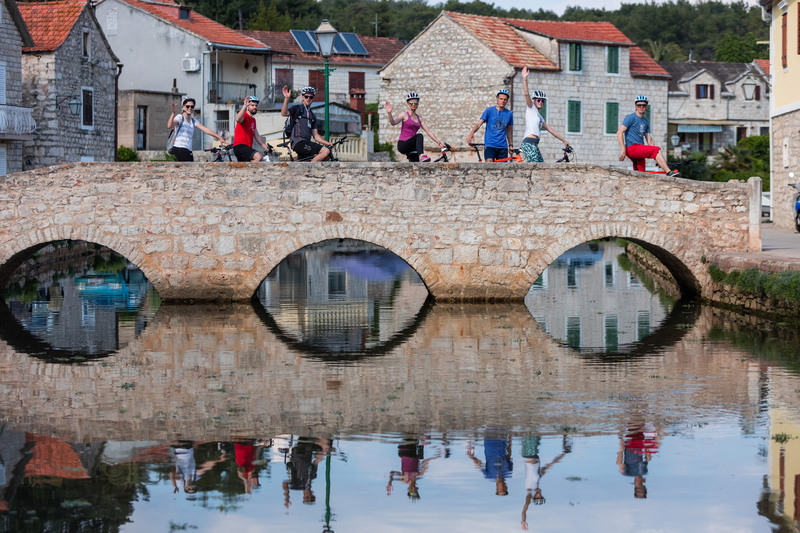 Vrboska bridges are good place for photo shooting and relaxing walk along the canal to rest yourself from the cycling. Short stop at beautiful spots for photo shooting. This easy stretch of road passes through the Vitarnja / beautiful area nearby Vrboska and Jelsa which will delight with its clear azure blue colored waters and intoxicating aromas from the surrounding pine forests. Vrboska is only about 4 kilometers west of Jelsa, and 6 kilometers east of Stari Grad town, and very near Stari Grad Plain which is a UNESCO World Heritage Site. 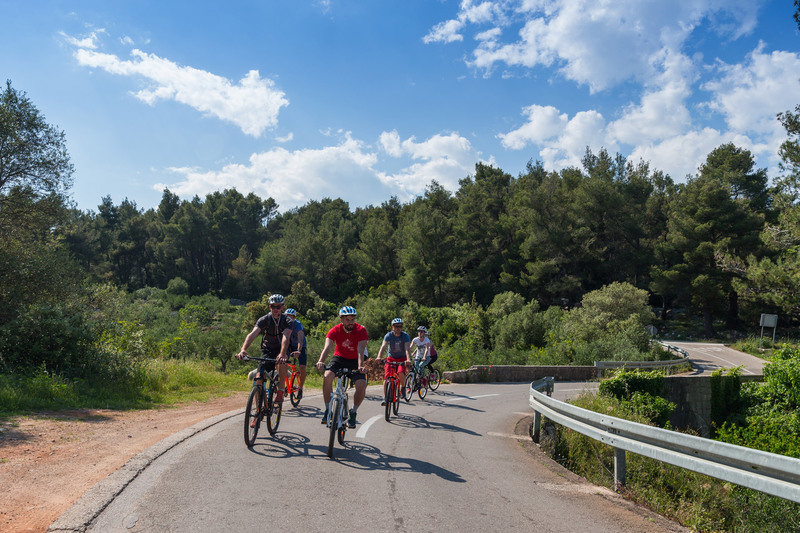 "Yellow cycling route" covers a variety of landscapes, from coastal paths to inland mountains with beautiful panoramic views. 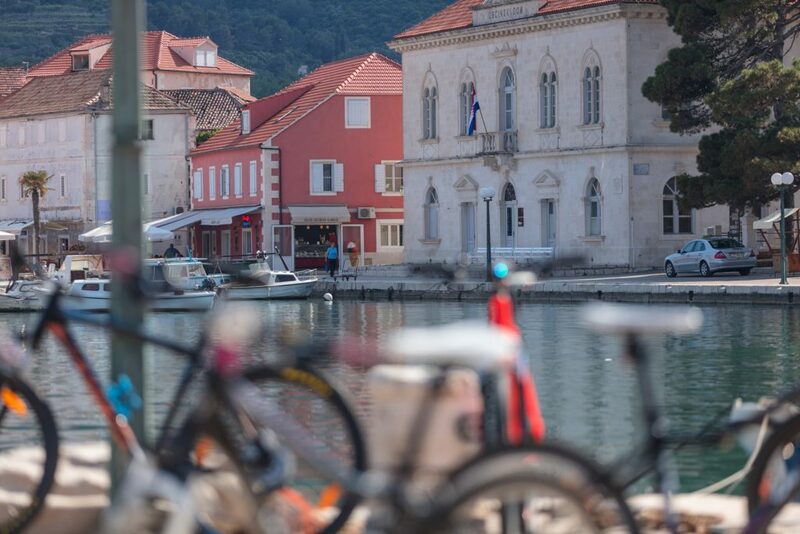 Stari Grad is the host of the Faros Marathon, international Croatia cup in long-distance swimming. The surrounding sea is well-known for its rich fish world, and the beaches are rocky, concrete and pebble. 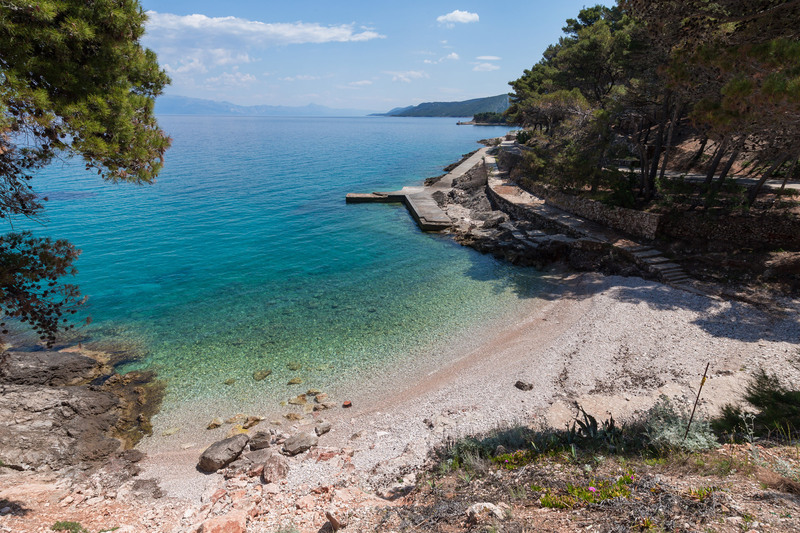 Smaller beaches are located in the coves inside the bay, and the underwater fishing is possible along the northern coast of the bay. Mina and Grebisce bays are very popular family beaches, with it's sandy base in the near Jelsa vicinity. Experience the northern side of Hvar island and explore scenic landscape by bike with our recommended "Yellow Cycling route". 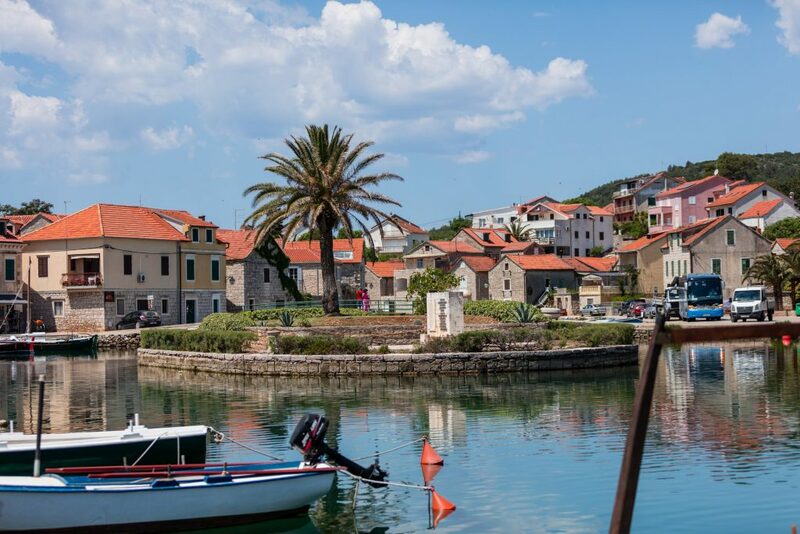 Jelsa / tranquil small town with beautiful views, stunning surrounding nature and a relaxed pace of life. Small charming square is the perfect place to have a drink and soak up the local island atmosphere. 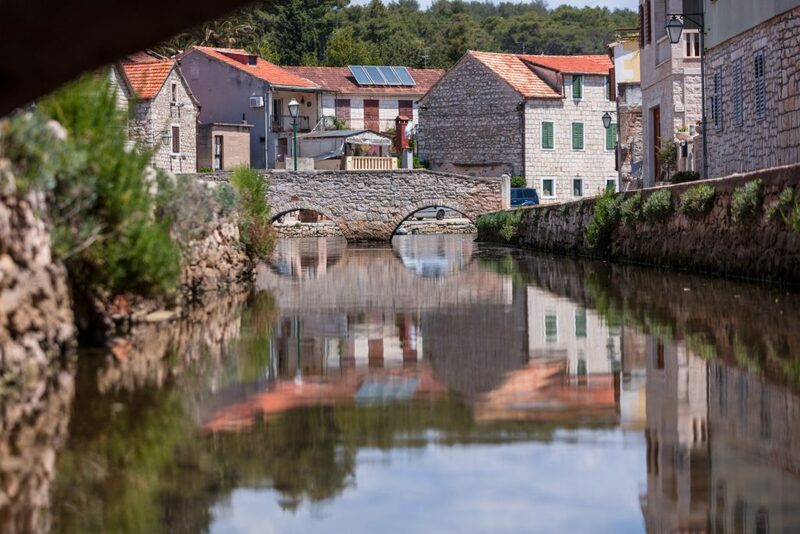 This tiny village on the north coast of Hvar island lies at the bottom of narrow curving channel with several bridges, so it’s sometimes referred to as ‘little Venice’. In the middle of this small narrow harbor is a pretty small island with the palm tree. 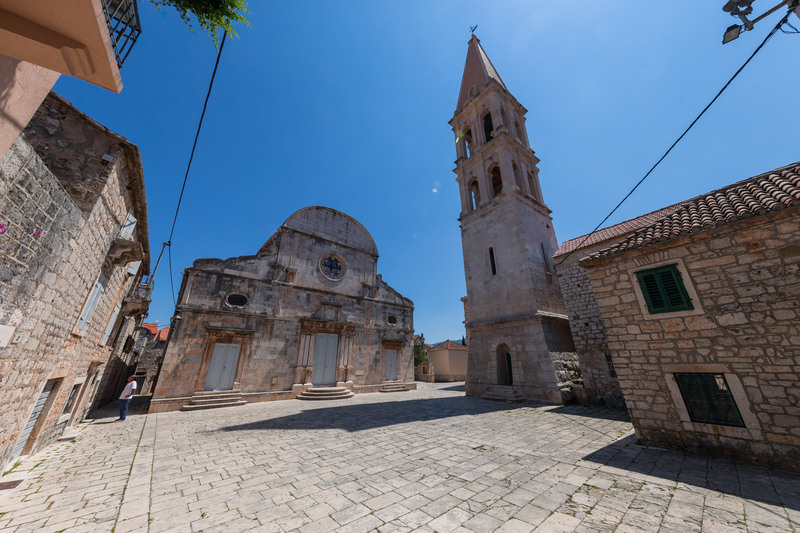 The parish church of St. Stephen (built in 1605 at the place where was first Hvar cathedral). 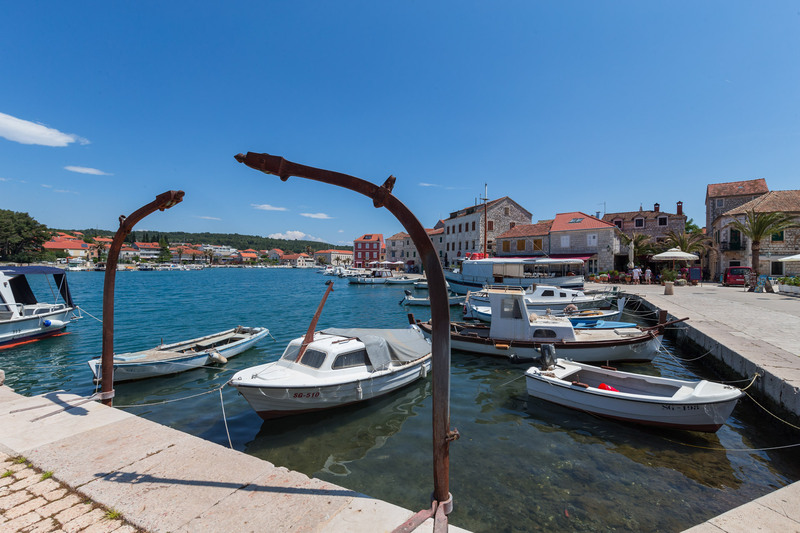 Stari Grad (ancient Pharos) is a town and a harbor at the end of the four nautical mile long bay on the northern side of the island of Hvar. Relax yourself with your fellow wine lovers and enjoy Natural Hvar educational-tasting tour. 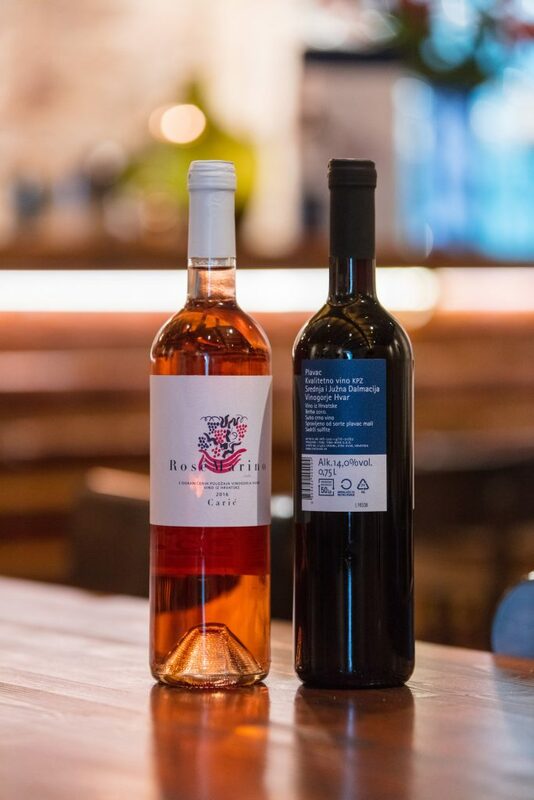 Your sommelier guide will illustrate the different characteristics of the wines and explain how the island grapes are grown and blended. 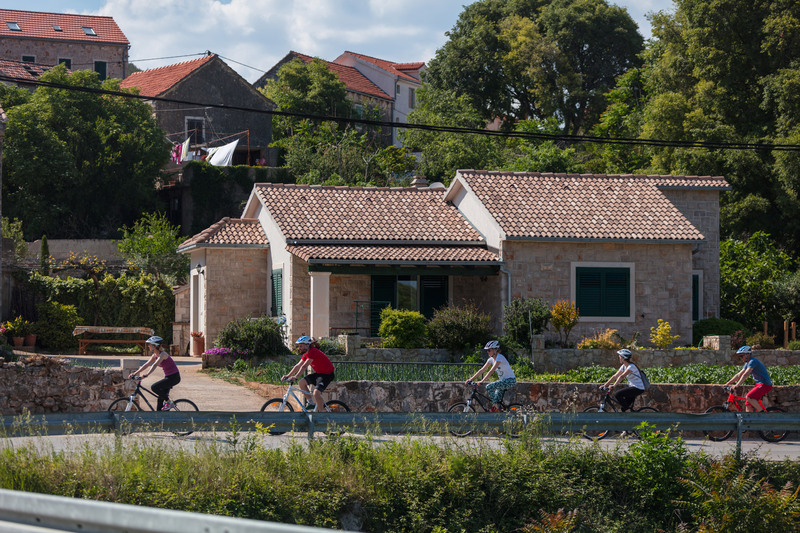 Pick up some of our beautiful cycling routes and explore stunning Croatian landscape. 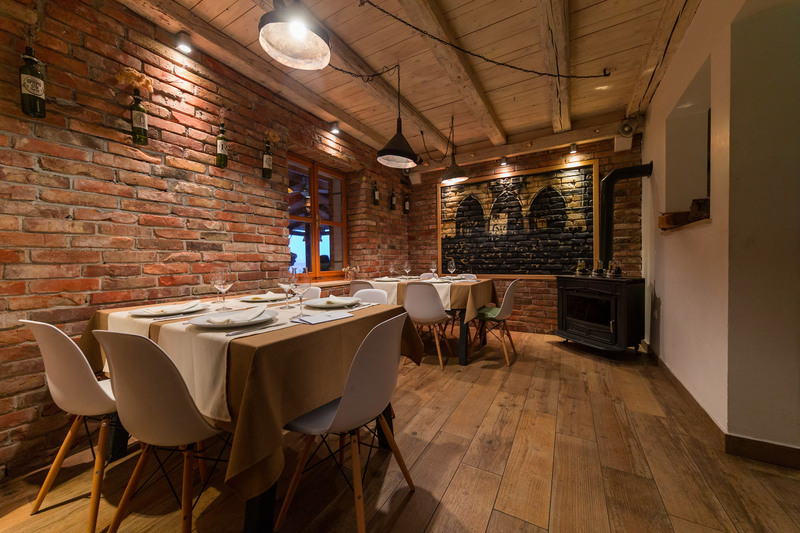 Romantic Getaways for busy couples who want more than just a trip. „Romantic getaway tour“ in organization of NH Tours agency can create some extra special travel moments. 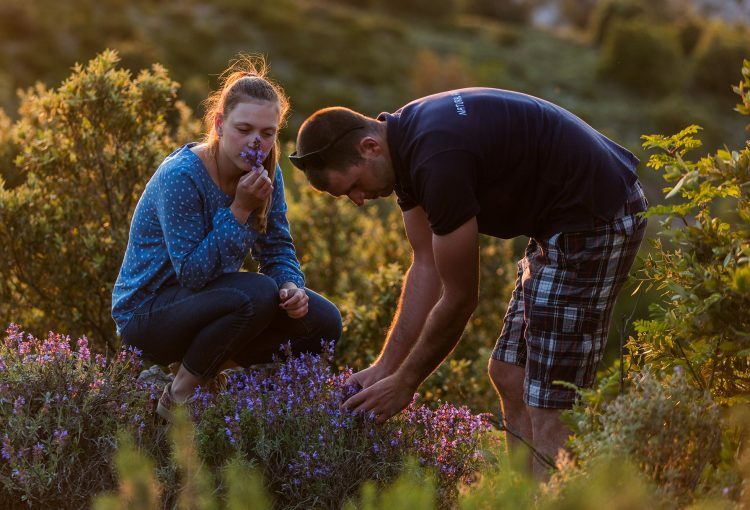 Exploration of the island with local host family, eating local food and listening local anecdotes can be truly experience of the country you've chosen to travel in. 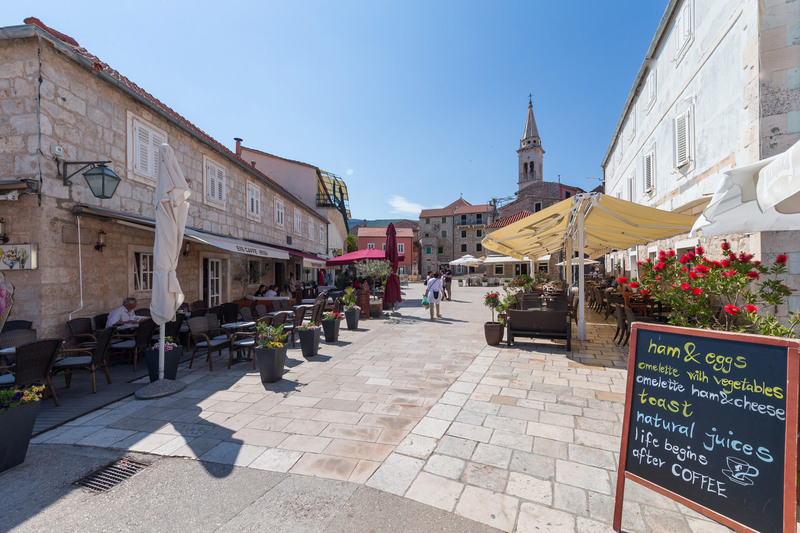 The atmosphere on Jelsa lovely square is perfect for a lazy afternoon coffee-brake. 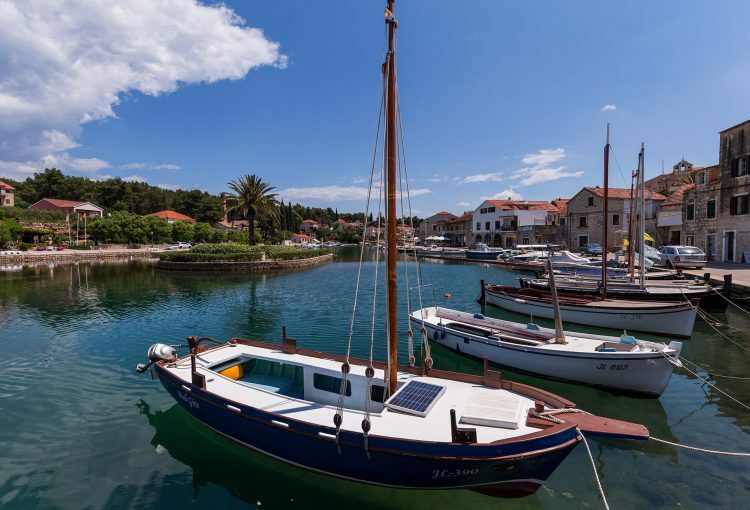 As a honeymoon, anniversary, couple's trip or any romantic getaway, Hvar island can be great place to offer the ultimate in romance. 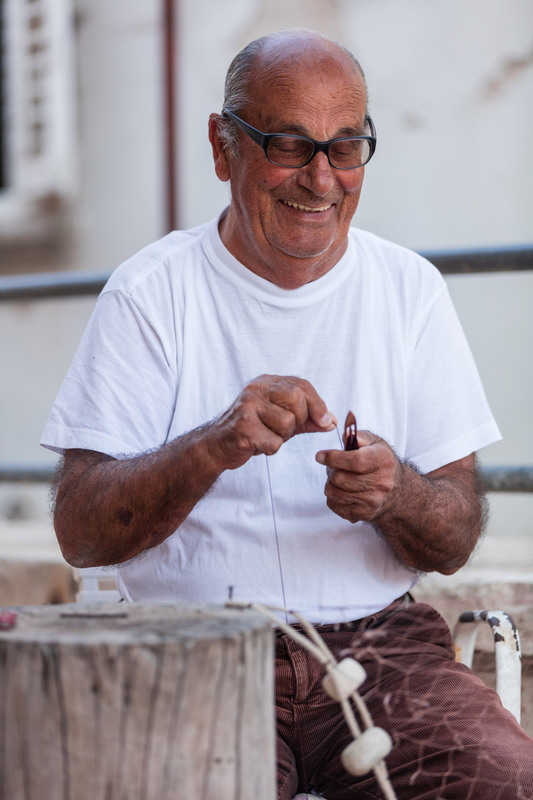 As members of a family with a long tradition in wine making and cultivating vineyards, we take you through our numerous vineyards and present you the fruits of labor we have inherited from our loved ones. 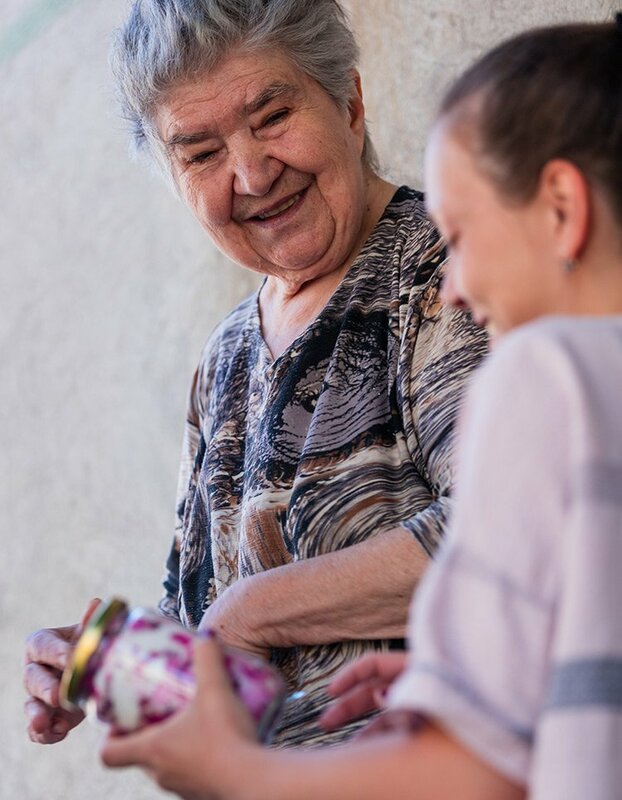 Our guided thematic tours are great opportunities to meet locals and learn more about the local culture. 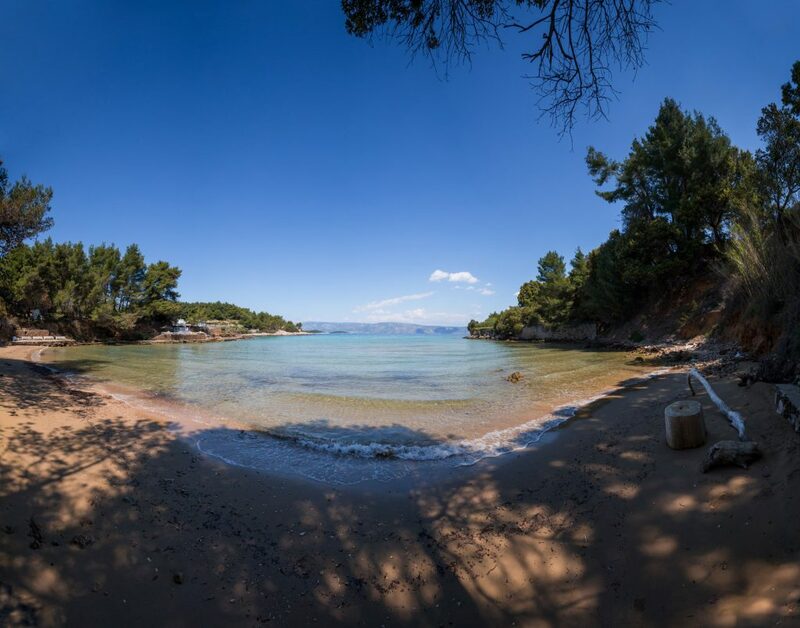 If you're feeling adventurous, strap your towel to your bike and find your relaxing tranquil beach surrounded by nature far away from hustle and bustle. The labels on these wine bottles are short stories. 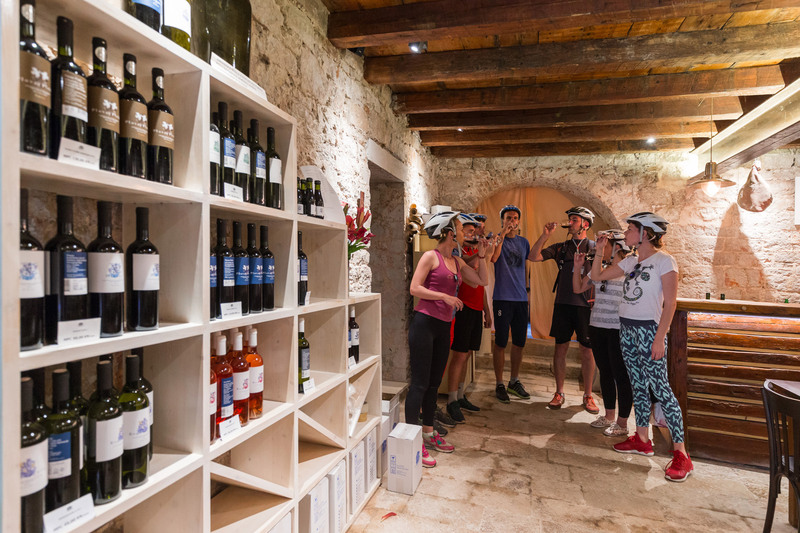 Join us on guided thematic tour and taste award-winning wines while learning the history of Croatian viticulture. Plavac wine produced in Stari Grad Plain have an intensive red color, with a pleasant, fresh and balanced taste. 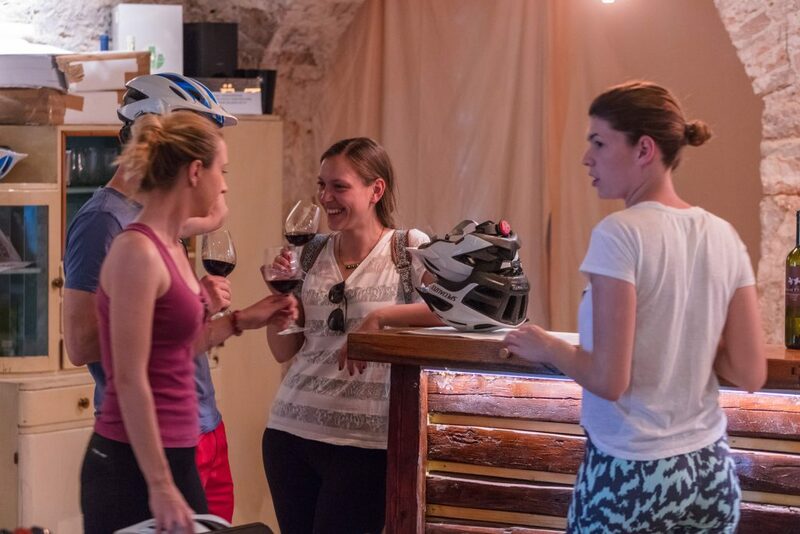 Natural Hvar "Wine & Bike Tour"
"Wine & Bike" is great offer for those looking to combine the fun and adventure of biking through the island with a more relaxed and easy-going Wine Country experience. 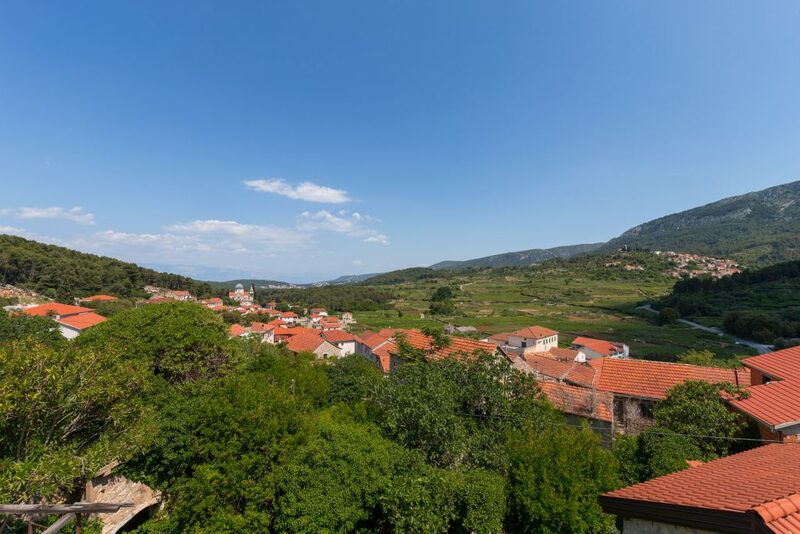 Stari Grad Plain is a cultural landscape that has remained practically intact since it was first colonized by Ionian Greeks from Paros in the 4th century BC. 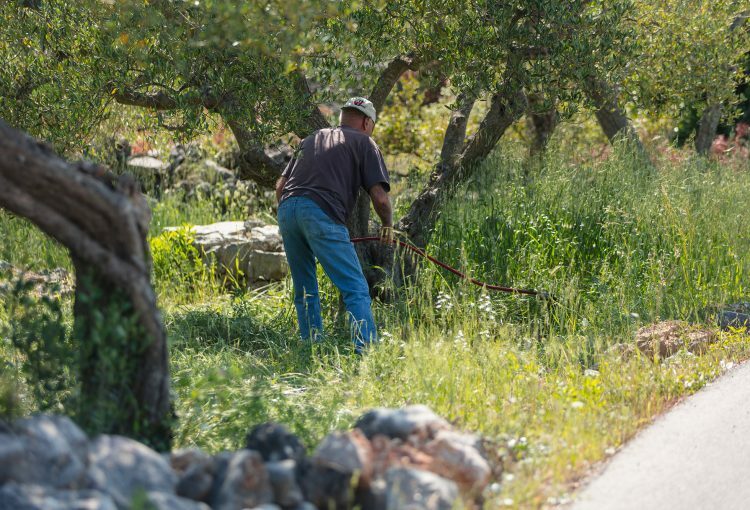 The original agricultural activity of this fertile plain, mainly centering on grapes and olives, has been maintained since Greek times to the present. The site is also a natural reserve. The landscape features ancient stone walls and trims, or small stone shelters, and bears testimony to the ancient geometrical system of land division used by the ancient Greeks, the chora which has remained virtually intact over 24 centuries. 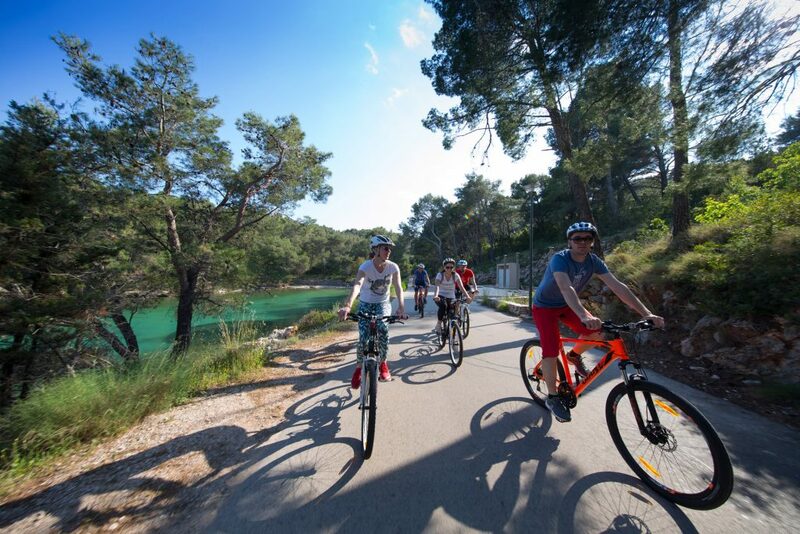 The average of 2718 hours of sun in a year makes Hvar the sunniest island in Europe, creating prime conditions for outdoor activities.Unique scenery, small vineyards and the many secluded beaches to cool off in after a ride make exploring by bike even more rewarding. A quintessential small town just isn't complete without a charming small streets. NH Cycling Tour provides you a perfect break from the crowded waterfronts and lets you dine in peace, amidst the lap of nature. Short visit to a hidden inland village will lead you to an unexpected island beauty. 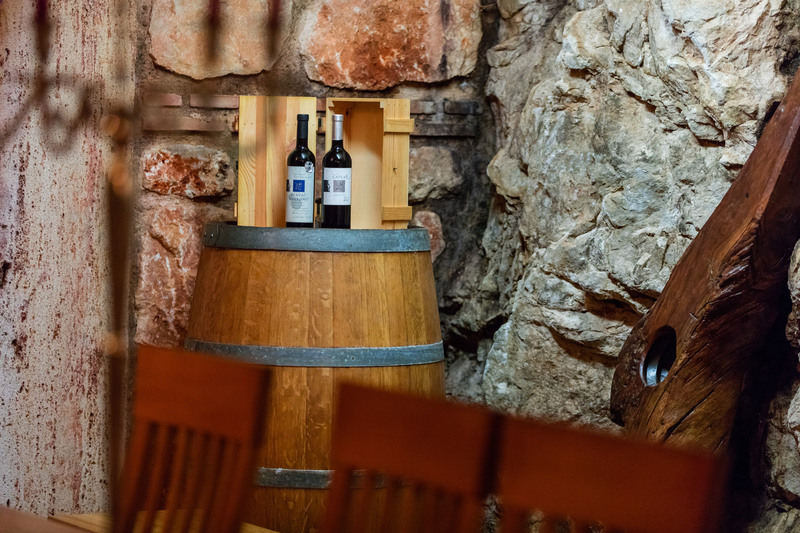 This Mediterranean wine cellar and tasting room with stone walls provides cool temperatures and high humidity, necessary to storage and aging of wine. 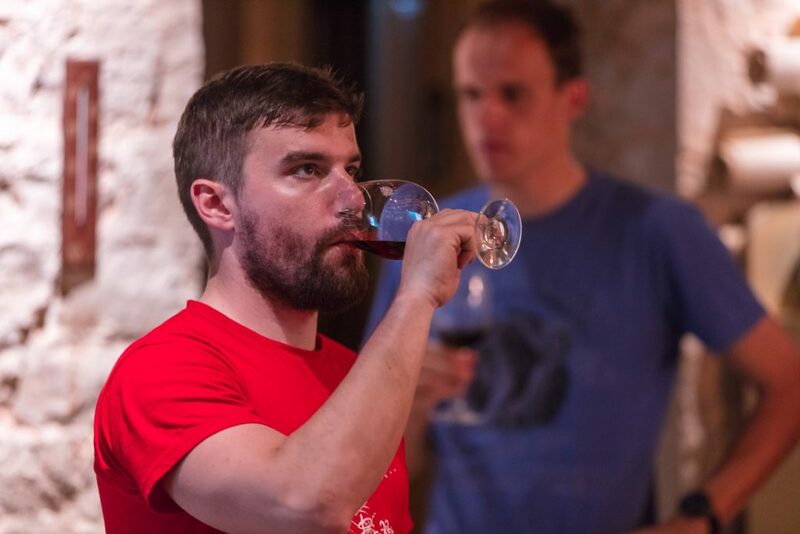 The result of a barrel-aged wine is not the same as that from an alternative oak treatment. 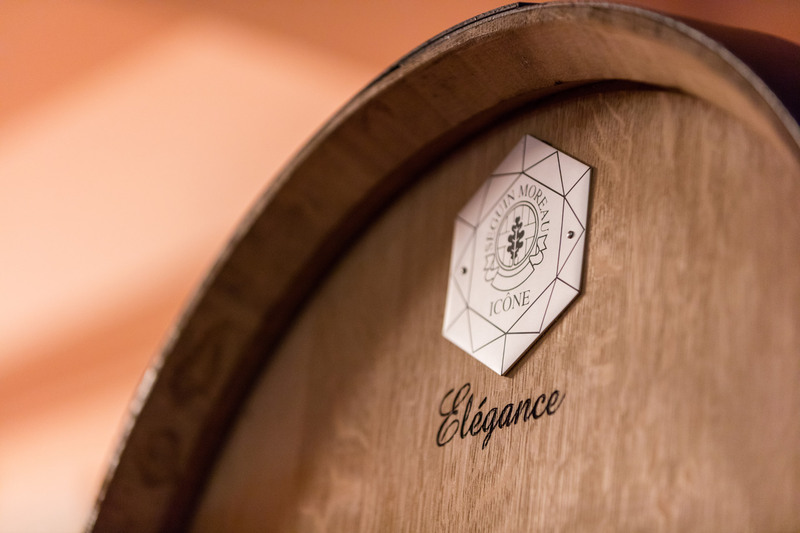 Barrels give the wines more elegance, complexity, and balance. 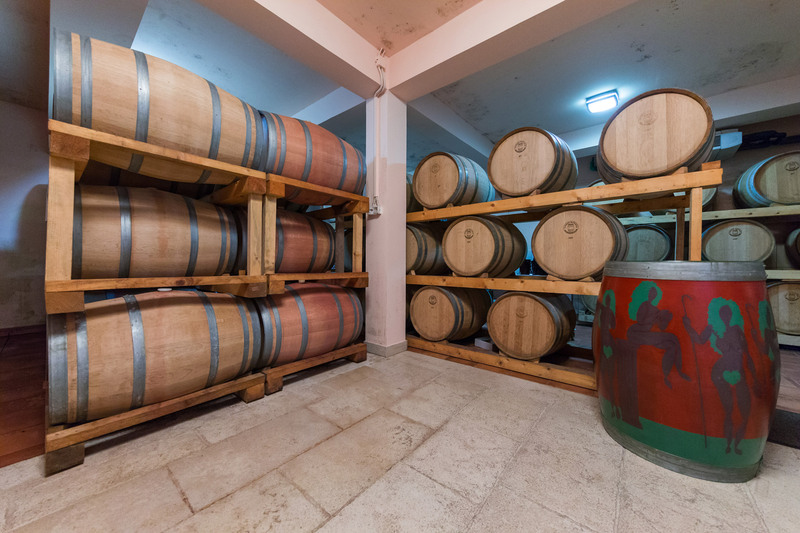 Some of well known island wines get finishing touch through shorter aging in oak barrels, which gives the wine discrete notes of wood.